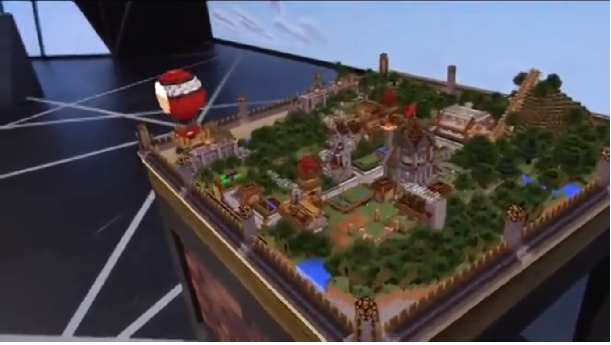 You are here: Home / HoloLens / Can HoloLens Display Black Holograms? 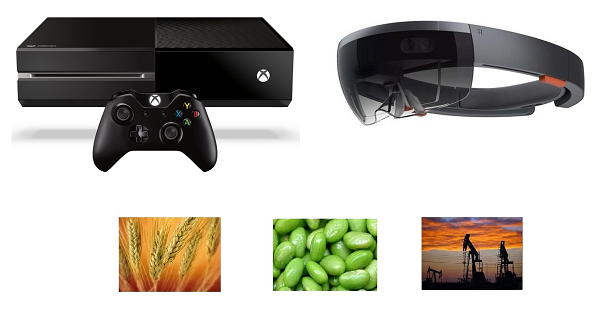 People asked this question online: Can HoloLens show back, how does it look like? I thought about it, what an interesting question! So I decide to look it up, see what I find out. The one who asked the question certain knows what he was talking about. Answer to this question is pretty obvious, look at above picture. The black holograms are obviously on light background. The room is well lighted up. The real question is why is this important? It is important because it implies the underlining display technology. In Virtual Reality, there is a screen in front of eyes, it’s either LCD or LED. They have different ways of generating black image. 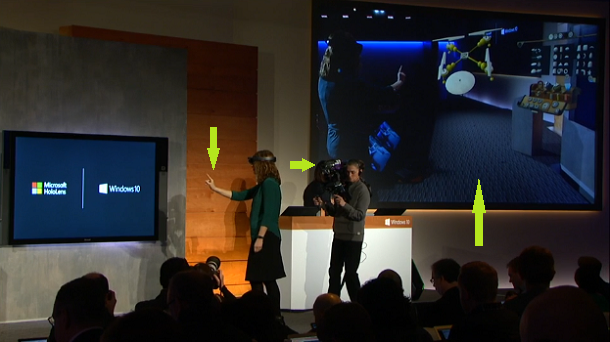 HoloLens apparently uses light projecting. There are questions regarding how holograms overlaying or merging with the environment. How does it project black lights? Black is just no light. If there is no projection, then it would leave whatever the real object is. If that’s true then black won’t be shown at all. 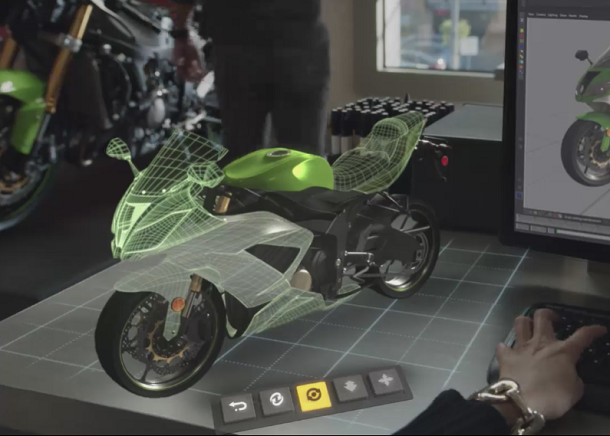 By looking at this picture and the motorcycle example below, I think HoloLens can block the environment light entirely. Otherwise black wouldn’t be possible. 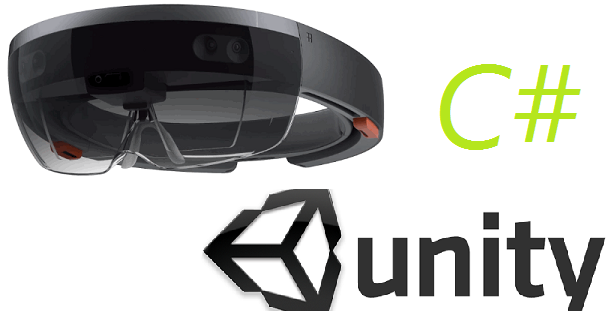 If HoloLens can block the environment light entirely, which I am still not 100% sure, two things are made possible: 1. 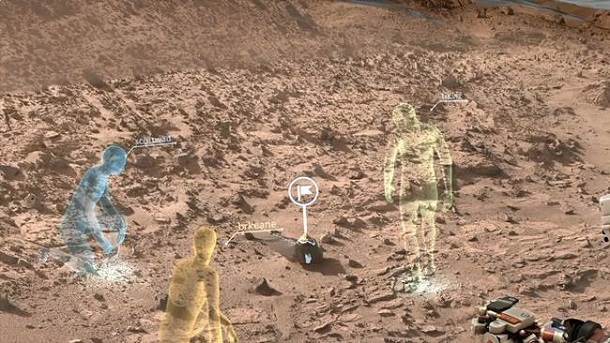 Create a solid looking, realistic hologram, instead of ghost like ones. This is confirmed to be true. 2. Out door use of HoloLens. The demos we have seen so far are all indoor ones. 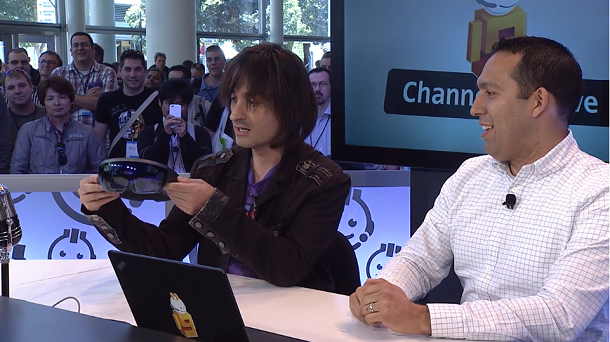 Well, that’s probably where HoloLens are intended to be used. But what prevent it from being used outdoor? It won’t be the display. 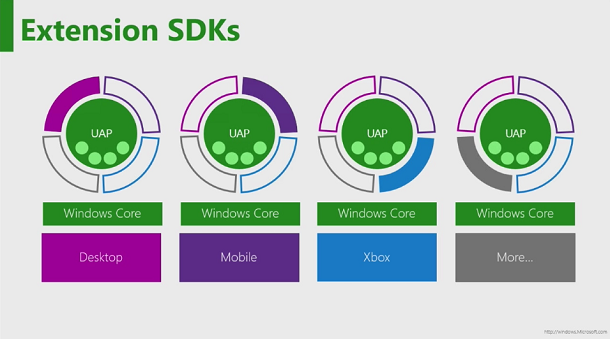 We know IR depth detection is sensitive to ambient light, maybe that’s the problem. There is always cases for outdoor use, we’ll find that out. This is exactly what I’ve been wondering, but I can’t seem to find an answer anywhere. Let me know if you find any. I’ve heard speculation that the glass is tinted, then it just lightens all the areas that aren’t black. From people who had tried, I didn’t but know someone who did. The environment is only slightly darker through the glass. From the information I have gathered, it is the inner glasses that filtering the ambient light. Even though they look clear. The picture at the top of your article is not a view through a HoloLens display, but it’s computer-generated imagery blended into the recorded camera video stream based on the HoloLens’ positional tracking method. In other words, it is pass-through AR like on your smartphone or tablet instead of see-through AR. 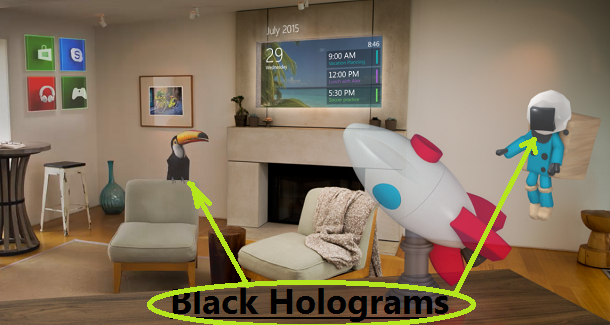 The real HoloLens can not show black virtual objects. The display does not have per-pixel controllable opacity. Have you seen the new video, https://youtu.be/SKpKlh1-en0?t=48s ? Shows non-opaque purely additive imagery over a normally-lit background. Yes. You are right. Actually Alex said in the NASA interview about this. But pure black or not, the result is pretty good through, even on a regular lighter background.